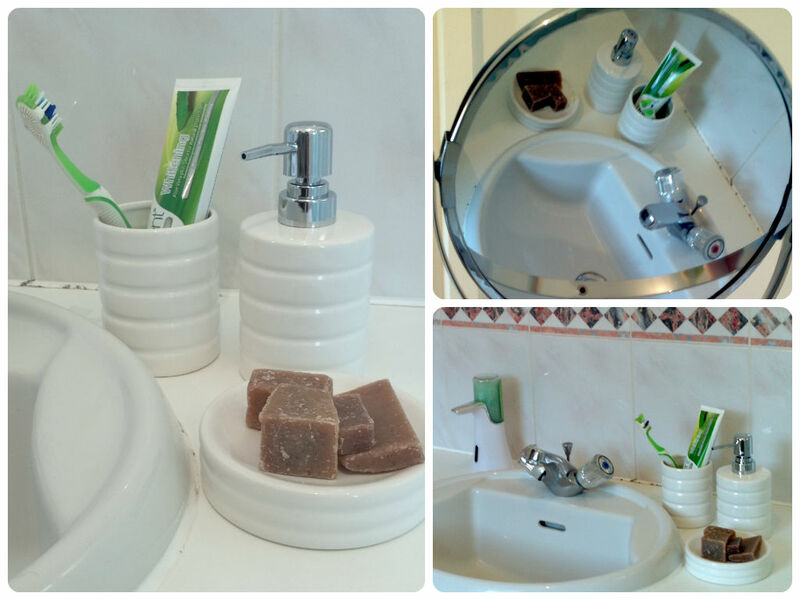 Firstly let me explain “on a budget”, as this term will not mean the same to me, you and for sure not to any super rich football star… we will all have a different monetary definition regarding what “on a budget” means… so to make it more clear, the idea was to remake our bathroom using only supermarket own brand products. This challenge was set by the people at Debt Free Direct in line with their idea of Making Money Go Further. I bet you are wondering right about now is it possible to create a nice space from supermarket own brand / super value products? Not to worry I was wondering about it as well. I wasn’t sure if I should or shouldn’t except the challenge… until I actually browsed through few websites and had a look at what is out there… then the choice was obvious… yes, I think I can do it! I was not restricted to picking any particular brand / superstore chain, the only restriction was it must be a supermarket own brand and not one of the perceived “posh” brands, so Harrods was out of the question. 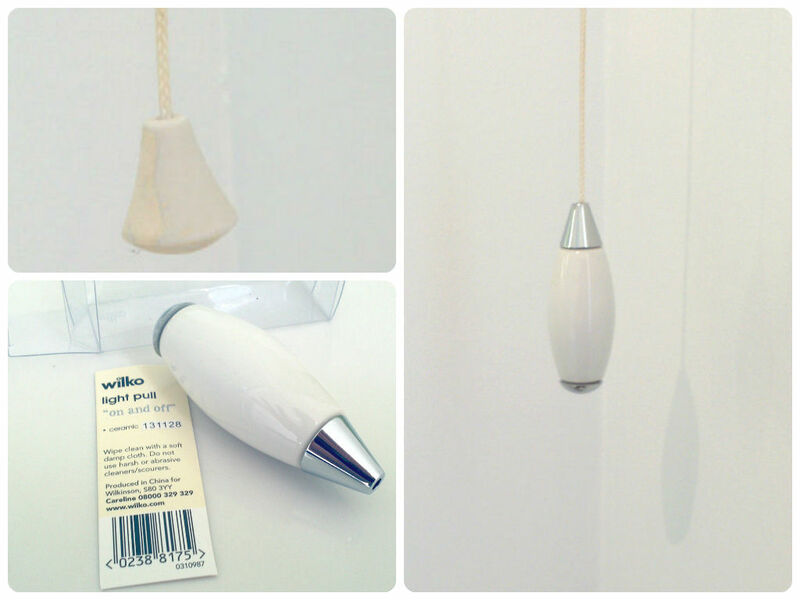 After much deliberation I picked Wilkinson and their Wilko range. I wanted to get all the bits from one place, so if anyone attempts to recreate my steps, they can save on delivery charges or unnecessary multi trips to a variety of stores for collection. My full order come to just £85.45. All that I was missing were some paint brushes, rollers, etc but I already had them so there was no need for getting new ones. 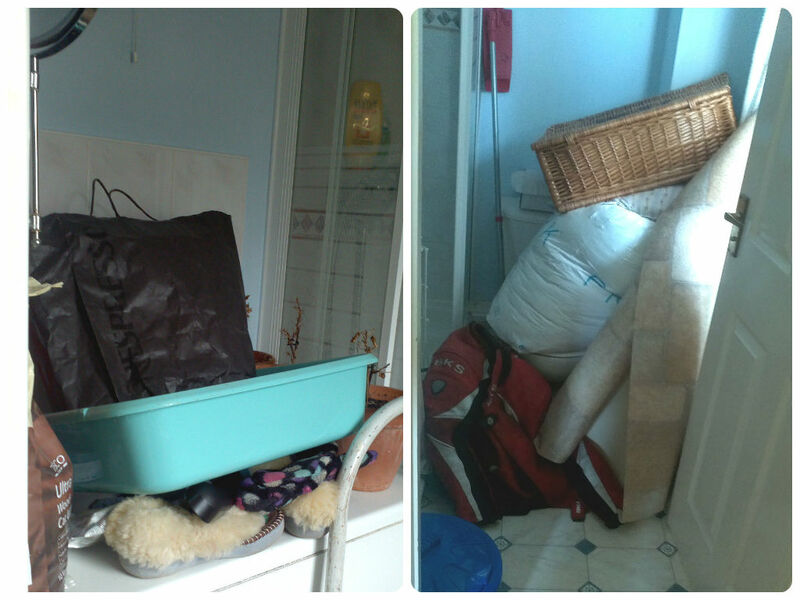 Step one was to remove all the items which didn’t actually belong in the bathroom and get it cleaned / de-web and ready for the make-over to come. 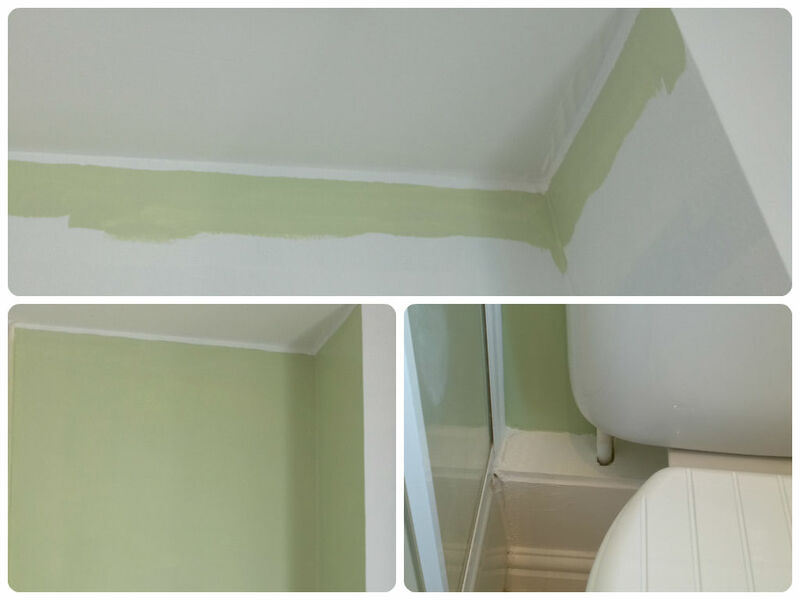 Once everything was removed, walls hovered, cleaned with soapy water, all holes filled, dried and sanded back down to smooth surfaces, all edges covered in masking tape it was time to get painting. While making my choice of paint I wanted something washable, this was my “must have” regarding the paint… in addition to this I chose paint which can cover wood and metal as well… how handy is that? 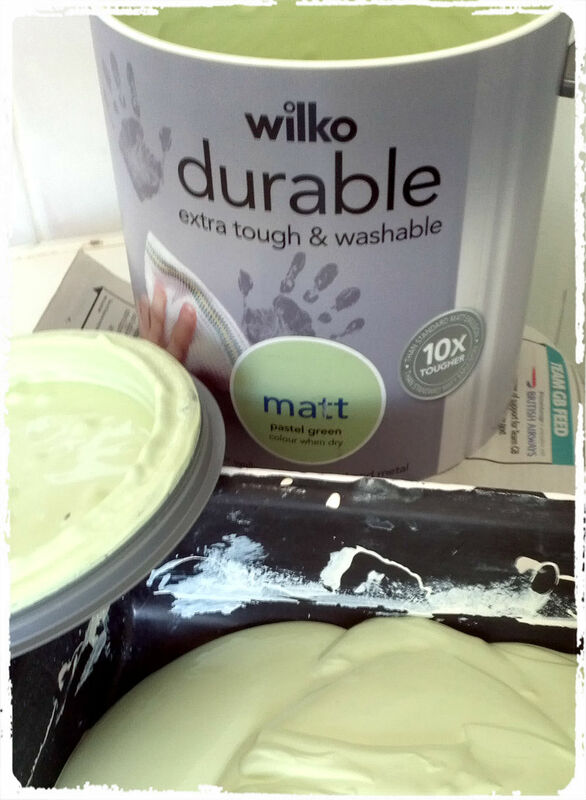 In light of this there was no need for any additional wood paint just for the skirting boards and “shelves” around the loo; everything could be painted using my Wilko choice. … when I left it to dry I became kind of distracted with other life issues, so there was no coming back to do anymore work on day one. So on too day two of my DIY project, I started with the second coat of the white walls. The ceiling was perfect after just one coat, so there was no need for any touch ups, the joy of white on white painting. Once my walls were done with the second coat it was time to add some colour. 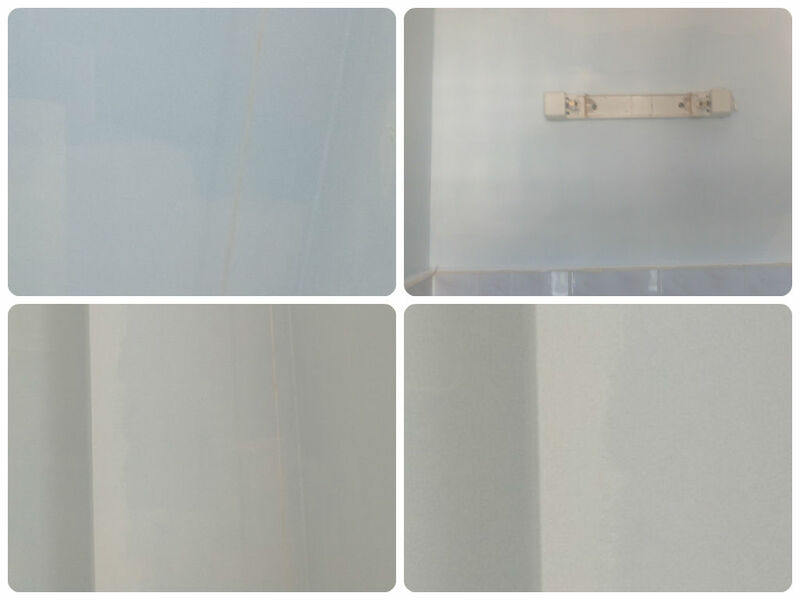 When picking the paint I wasn’t sure if I wanted our bathroom to be entirely white, I thought it would feel too clinical. 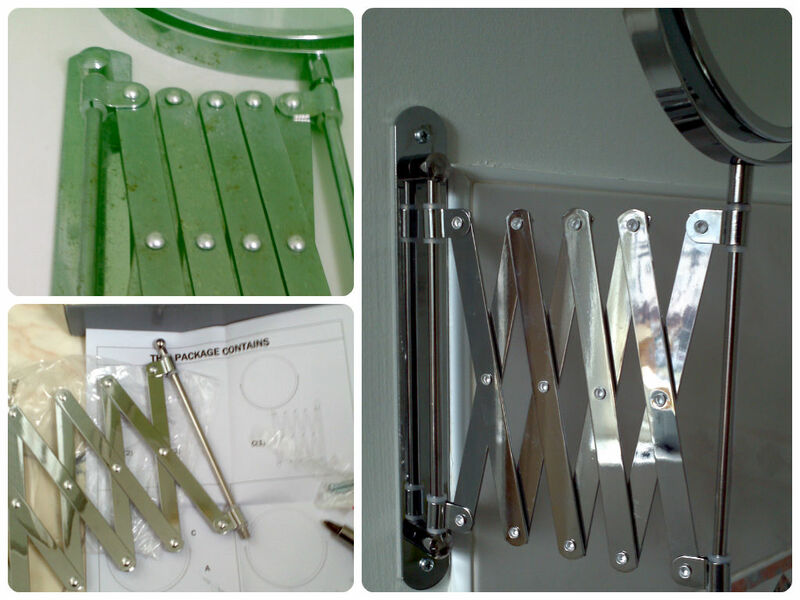 Therefore I chose a tin of subtle green paint as well; I wanted something calming and easy for the eye. The green paint covered the walls very nicely. It was quite a thick paint but it spreads very easily and it had good coverage. I think it was just after midday when my green corner was done. Lunch break was in order as the paint had to dry out. After returning to my little bathroom I discovered that in a few places I could still, ever so slightly, see the blue paint showing through from underneath. 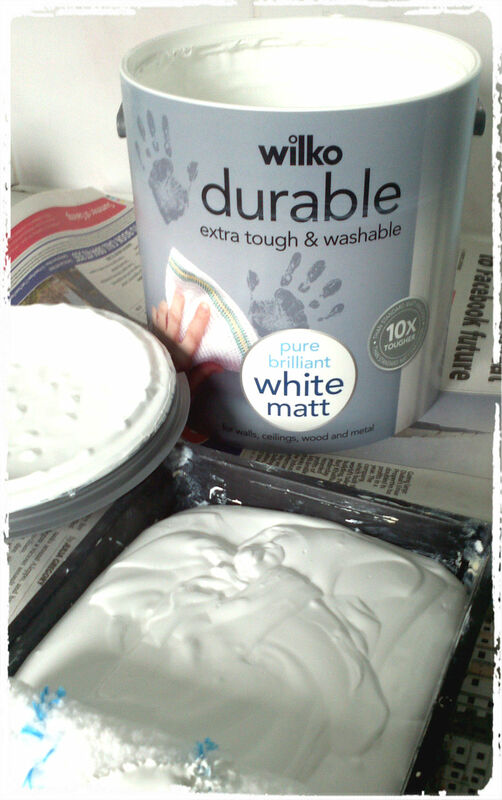 I had a lot of paint left, so I decided to give it a quick third coat just to be totally sure that all the walls that were supposed to be white, where in fact totally pure brilliant white, just as it said on the tin! Not bad, would you not agree? Yes, I know that they are not perfect but for me they look 100s times better and I didn’t have to spend a penny :-), well maybe a couple for the hot water. 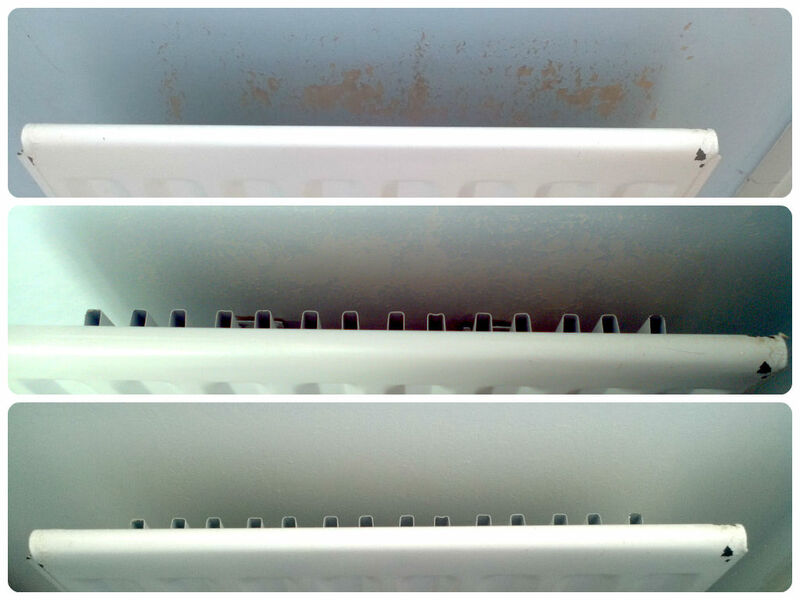 The new mirror replaces the old one which just so happens to be the same size and shape, the only difference being the old one was full of rust and really didn’t look very attractive any more. 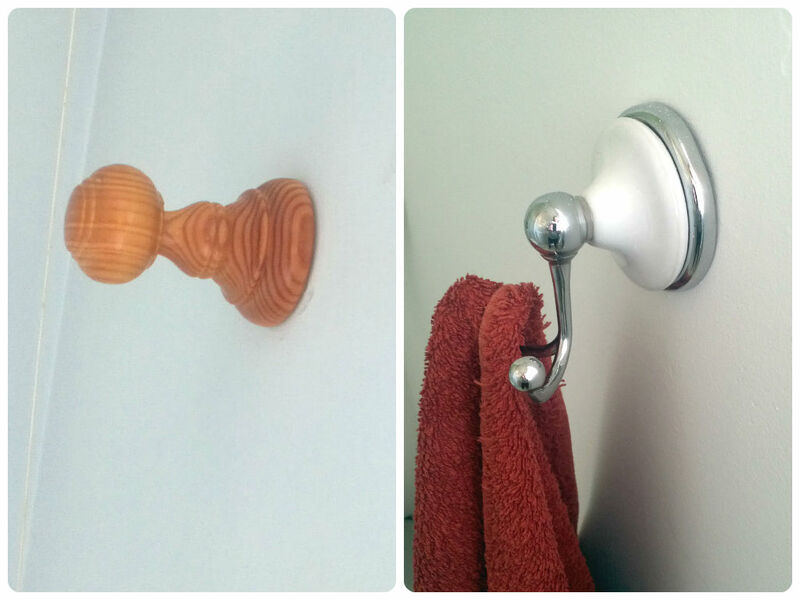 New towel hook replaces the old one giving our bathroom a more clean and modern look. 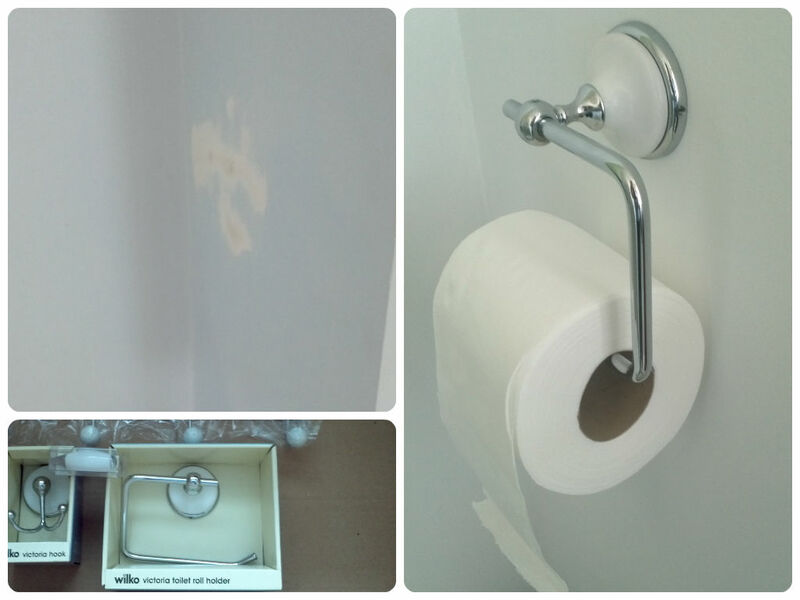 New loo roll holder replaces… hmm nothing… I think maybe the old owners of the house took it with them when they moved out… unsure on that one… all that was left were the holes in the wall where the holder was once placed some years previously. New extractor fan pull cord weight replaces the old one. Its shape and colours is in much better keeping with our other accessories, so it all blends well together. 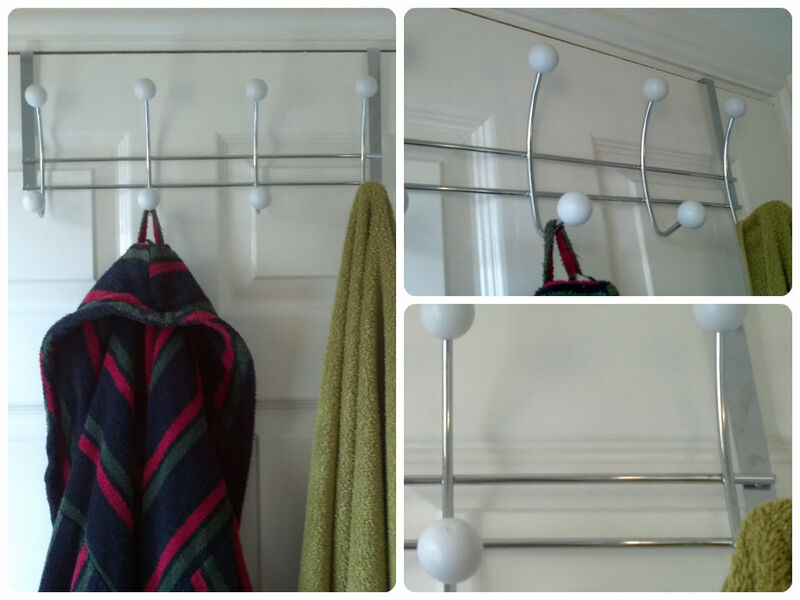 A new addition goes on the back of the door – an over door towel hook. It is actually not a part of the Victoria accessories set but it does look very similar and so I thought it would be a nice addition and it will give us some much needed hanging space for bathrobes. 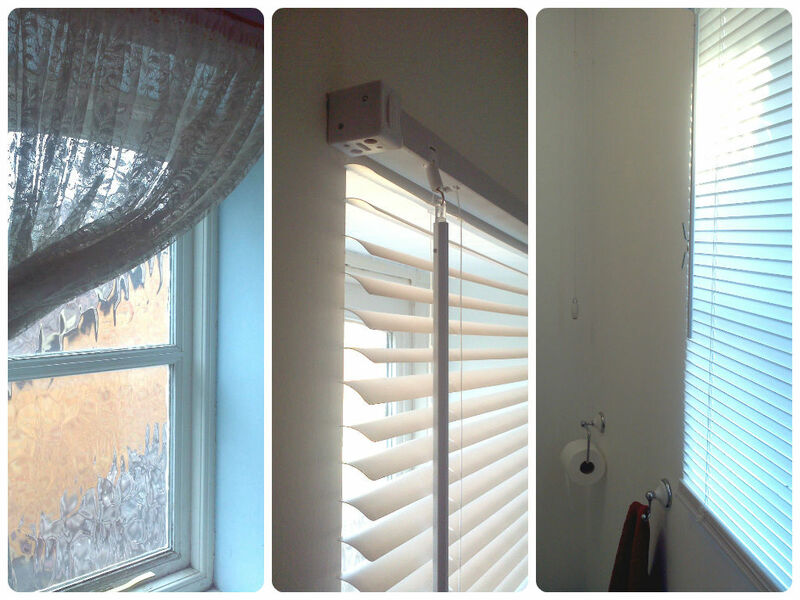 A much needed element of the transformation – a venetian blind. No more weird hanging net curtains, I hate them! Now we have a clean and fabulous looking blind which we can open or close depending on our mood. Just perfect! So finally I had come to the end game, at this point it was time to “dress up” our new bathroom. The three piece set which I had picked looked perfect, I think. It goes very well with all the other bits I had placed and I think it really helps with bringing the room together. 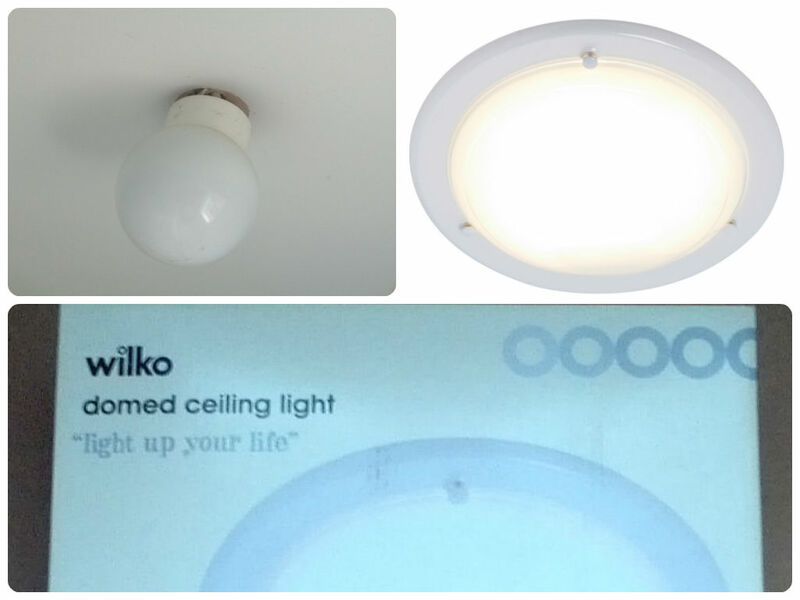 This is the only part of our make-over which is not finished as yet – is the light 🙁 We attempted to change it but it is not as straightforward as one would think – we are supposed to connect three wires but we have five it turns out. As we lacked confidence in this matter I think we will wait for an electrician with this one! So here you have it! 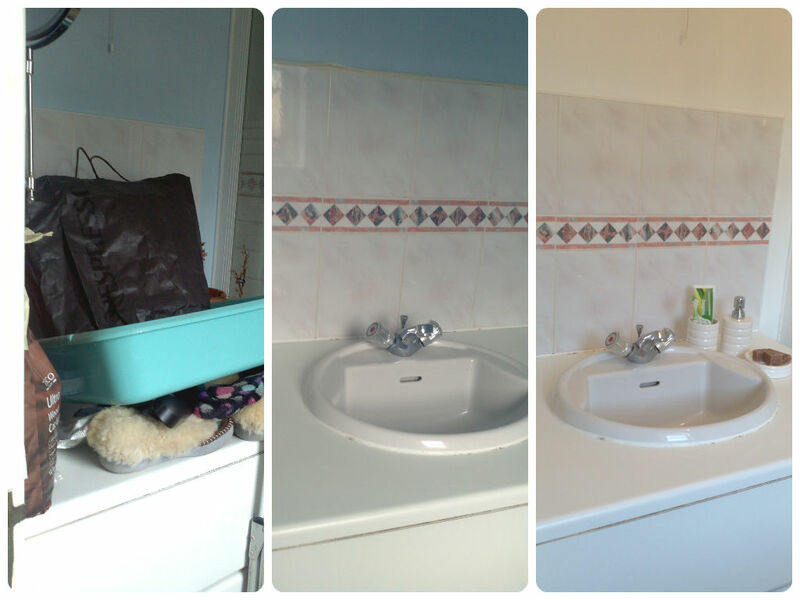 – A bathroom make-over on a budget. In your opinion did I succeed in my task? * I received the above items for free in order to attempt a makeover of my chosen room. 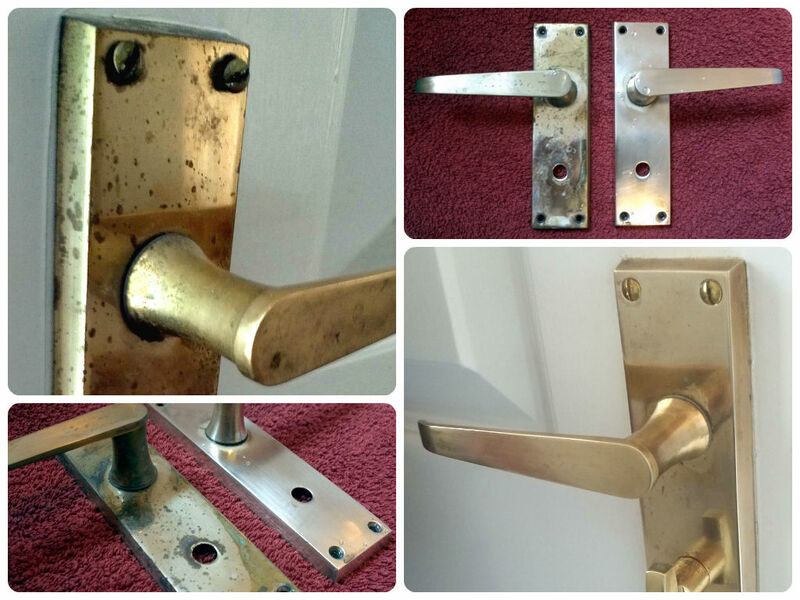 #GreatBritishHome Challenge – Are we really Mr and Mrs Glamorous? It looks fab and to do it on such a small budget is really impressive. I’m moving house next weekend and have been looking for some bits to get our place looking a bit nicer (fantastic landlord who has no issue with us painting). That green is exactly what I was looking for for the kitchen! Loving the price and it looks great. Well done. 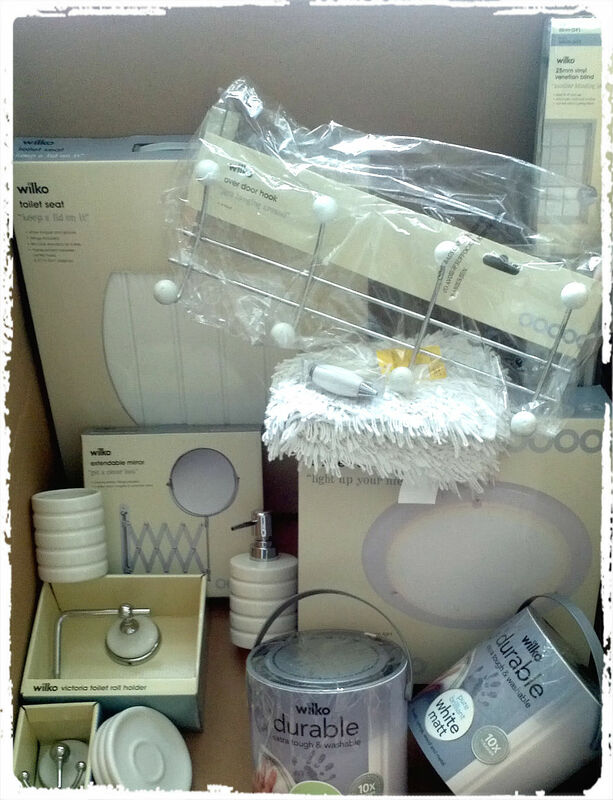 I love Wilko’s, lots of great value products! 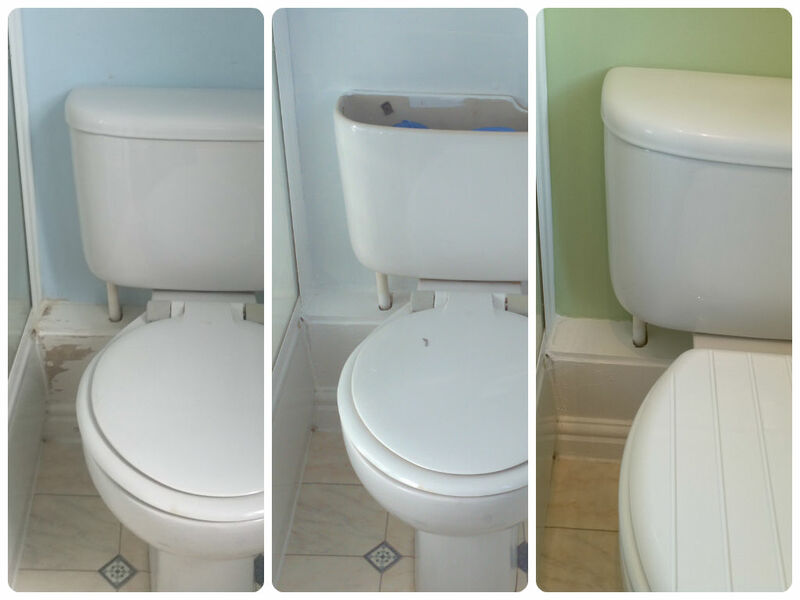 The color totally changes the feel of the bathroom! Great job! Looks fab, the supermarket chains have such great ranges there days- there really is no need to splash out on posher brands! I think the room is a lot more functional for the pictures, and it is spruced up for sure! Great job! I love the green color, it’s looks very cheery and clean. Great job on keeping it to a small budget. Great wall color! It definitely looks nice! Your are inspiring me to paint something!!! It looks great! I would say you succeeded and went beyond. I love the clean look of the space now. Excellent job with such a small budget. I have to admit I am a fan of budget brands because it seems we’re always on a tight budget! Fantastic post. Great work and on a budget. You should be really proud. It looks great, nice work! I bet you love admiring your handy work every time you pass by! It looks great! I love the green color you picked out. You’ve done an amazing job…I can’t believe how much you got for your money either. Very inspiring! Well done! It look really lovely! Well it just goes to show you dont have to spent the big bucks you just need to be imaginative and creative. Nice Job! You’ve inspired me to take on the challenge of a low-cost makeover! Ohh wow you have done a fab job . 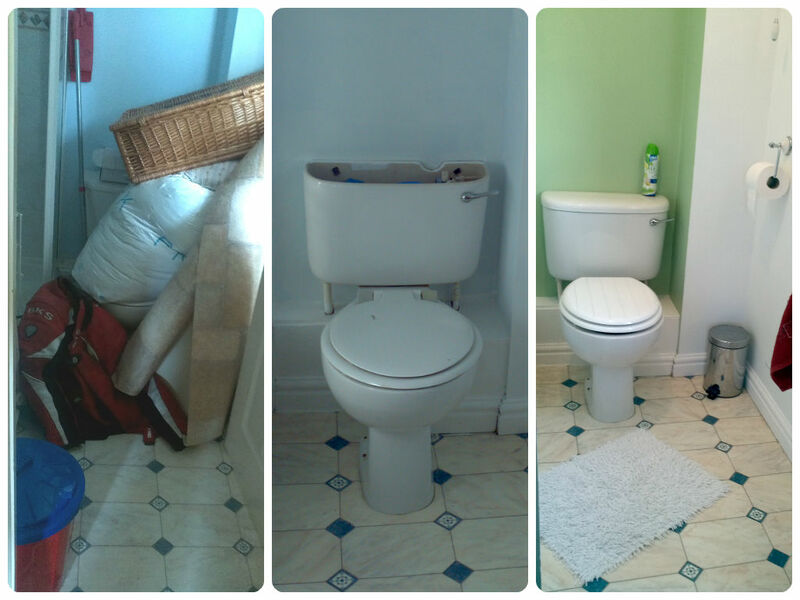 You have renovated your bathroom beautifully.Well done on doing it on such a small budget.